the Owners and Fans of the VW Golf GTI! WE SHIP OUR ITEMS ALL OVER THE WORLD! SHIPPING CHARGES REMAIN THE SAME NO MATTER WHERE YOU LIVE! - Payment via credit card: To pay by credit card, please use the shopping cart feature of our site. Click on the yellow "Add to cart" symbol and follow the on-screen instructions. For your security we process credit card payments through PayPal as well. You do not have to be a PayPal member to use this payment method! 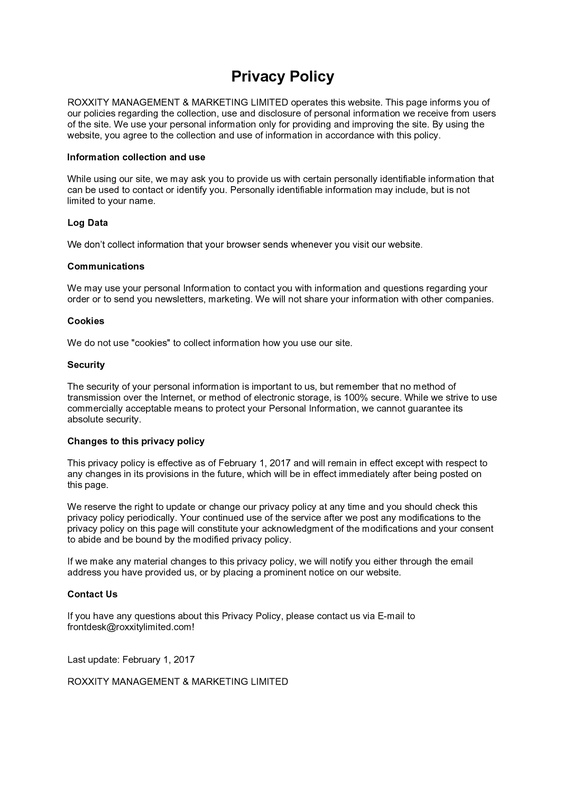 Your credit card data will be processed by PayPal only. We only have access to your order details and shipping address, giving you maximum security this way as well! - Is there anything else we might be able to do for you? We will gladly be of assistance. Please send us an e-mail to sales@GTI35.com. The Golf GTI Mk I took the hearts of its fans by storm because it has been the world's first really sporty compact car. What image would be better suited to pay tribute to the Golf GTI? 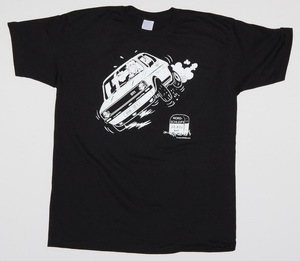 The visual on the front of the t-shirt was designed by none other than famous French artist BOD, whose caricatures are published by all important media outlets around the globe. His funny illustration perfectly expresses the swinging young life at the wheel of a Golf GTI. 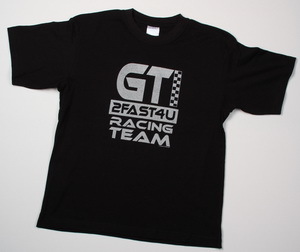 Black t-shirt with white "GTI on two wheels" cartoon on the chest. "40 YEARS OF THUNDER - GTI 1976 - 2016"
The exclusive timepiece made in Germany celebrating the 40th anniversary of the Golf GTI! The sportly "40 YEARS OF THUNDER - GTI 1976 - 2016" chronograph. 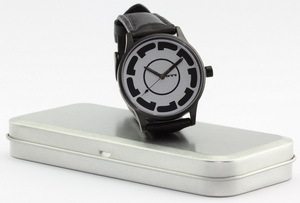 Stainless-steel XL case with a diameter of about 43 millimeters (about 1.7 inch) and sapphire crystal. Black 12 hour dial with white "40 YEARS OF THUNDER - GTI 1976 - 2016" logo and three sub-dials. Metal hands and date display. Myota VD 53.B quartz movement. Myota is a brand of the Citizen Group. 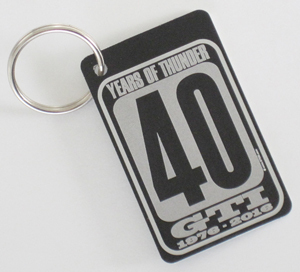 A must for each GTI key: The key ring featuring our popular "40 YEARS OF THUNDER - GTI 1976 - 2016" logo. Key tag size: about 6 x 3.5 cm (about 2.4 x 1.4 inch). Key ring diameter: 2.4 cm (about 0.95 inch). Black anodized aluminium tag with silver-coloured edge and laser engraved "40 YEARS OF THUNDER - GTI 1976 - 2016" logo. The trendy necklace for each owner and fan of a Golf GTI: The logo tag featuring our popular "40 YEARS OF THUNDER - GTI 1976 - 2016" logo. 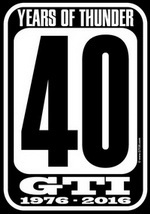 Logo tag size: about 6 x 3.5 cm (about 2.4 x 1.4 inch). Including a 60 cm (23.6 inch) long chain of balls. 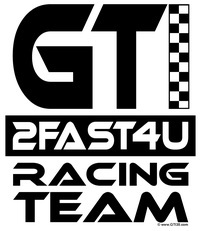 2FAST4U - Too fast for you! Which motto could match the GTI more perfectly? 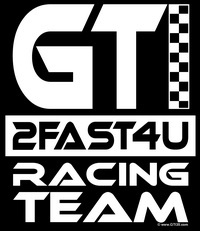 This is why we established the GTI 2FAST4U RACING TEAM and of course we got the matching team gear for alle GTI enthusiasts. Black t-shirt with silver printing on the chest. Of course our range also contains a body shaped Lady-Fit style t-shirt. Black body shaped t-shirt with silver printing on the chest. Top quality (165 g/m², 100% cotton), very soft, maximum comfort. Lady-Fit sizes: XS, S, M, L, XL. 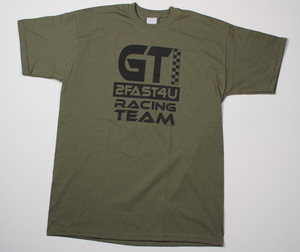 Olive-green t-shirt with black printing on the chest. Night-blue t-shirt with silver printing on the chest. 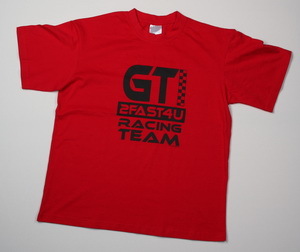 Red t-shirt with black printing on the chest. Black shirt with long sleeves and silver printing on the chest. 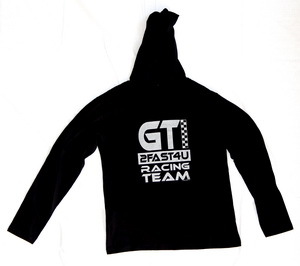 Black long sleeve hoodie shirt with silver printing. 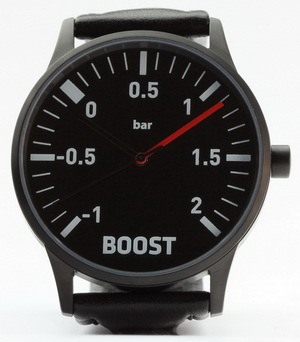 The high-grade watch made in Germany designed like an analogue boost gauge! 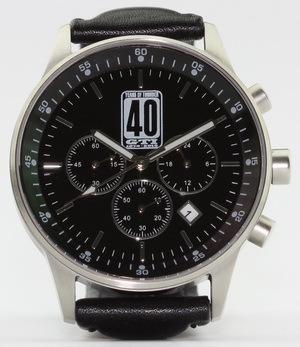 The perfect timepiece for each owner of a Golf G60 or turbocharged GTI! The black dial inside a robust, matt black XL stainless steel case with 43 millimeter in diameter is a perfect eyecatcher: With its scale from -1 through +2 bar it is designed like a classic boost gauge used on turbocharged or supercharged vehicles back in the Seventies or Eighties. To perfectly round out this look the hands for second and hour are black while the hand for minutes is fire-red like on a genuine boost gauge. 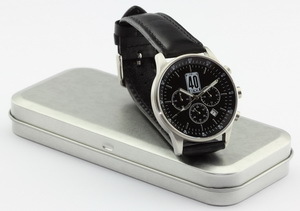 Matt black stainless-steel XL case with a diameter of about 43 millimeters (about 1.7 inch) and sapphire crystal. 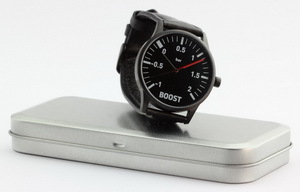 Black boost gauge design dial. Black and fire-red hands. Towards the end of the production run of the first Golf GTI generation there was launched the "special edition model Golf GTI" back in 1983. To celebrate these cars that are very much in demand until today we have developed the "GTI Edition P" watch. It displays the design of the characteristic light alloy wheel that is the unmistakable identification mark of this special edition car until today. 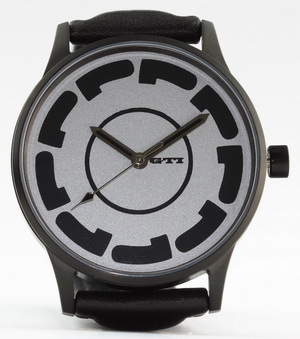 Silver coloured dial with black "GTI Edition P" design. 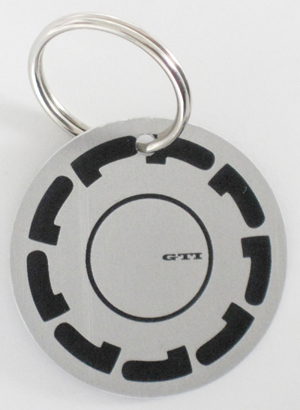 A must for each owner and fan of the 1983 "special edition model Golf GTI": The "GTI Edition P" key ring designed like the characteristic light alloy wheel that is the unmistakable identification mark of this special edition car. Key tag diameter: about 4 cm (about 1.5 inch). Key ring diameter: 2.4 cm (about 0.95 inch). Round black anodized aluminium tag with silver-coloured edge and laser engraved "GTI Edition P" design. The trendy necklace for each owner and fan of the 1983 "special edition model Golf GTI": The "GTI Edition P" logo tag designed like the characteristic light alloy wheel that is the unmistakable identification mark of this special edition car. Logo tag diameter: about 4 cm (about 1.5 inch). Including a 60 cm (23.6 inch) long chain of balls. 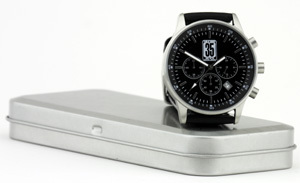 Stainless-steel case with a diameter of about 43 millimeters and mineral glass. 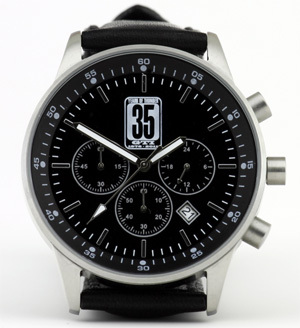 Black 12 hour dial with white GTI35.com logo and three sub-dials. Metal hands and date display. Only a Golf GTI is authorized to park here - all others will be smashed! What image would be better suited to pay tribute to the Golf GTI? The cartoon on this parking sign was designed by none other than famous French artist BOD, whose caricatures are published by all important media outlets around the globe. 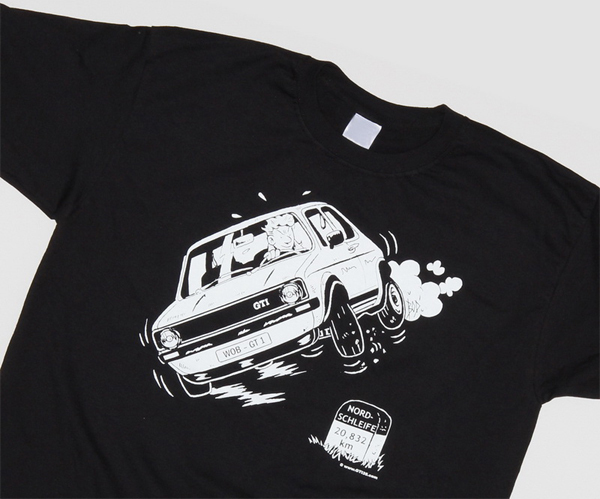 His funny illustration perfectly expresses the swinging young life at the wheel of a Golf GTI. 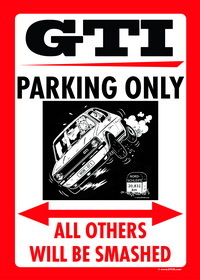 US-style parking sign for owners and fans of a Golf GTI. High-grade, multi-color digital print on a plastic plate. Size about 29.5 x 42.5 cm (about 11.6 x 16.7 inches). 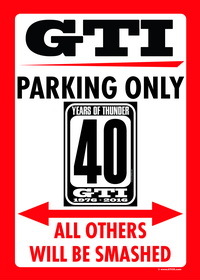 "40 YEARS OF THUNDER - GTI 1976 - 2016". Only a Golf GTI is authorized to park here - all others will be smashed! 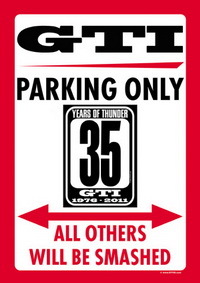 "35 YEARS OF THUNDER - GTI 1976 - 2011"
"35 YEARS OF THUNDER - GTI 1976 - 2011 PARKING ONLY"
"35 YEARS OF THUNDER - GTI 1976 - 2011". Only a Golf GTI is authorized to park here - all others will be smashed! "GTI PARKING ONLY". Only a Golf GTI Mk. V is authorized to park here - all others will be smashed! 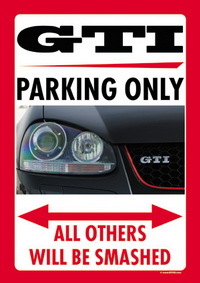 US-style parking sign for owners and fans of a Golf GTI Mk. V.
"GTI PARKING ONLY". Only a Golf GTI Mk. VI is authorized to park here - all others will be smashed! 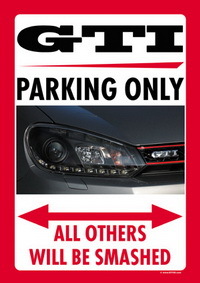 US-style parking sign for owners and fans of a Golf GTI Mk. VI. "GTI PARKING ONLY". Only a Golf GTI Mk. VII is authorized to park here - all others will be smashed! 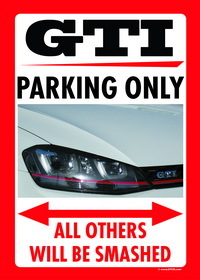 US-style parking sign for owners and fans of a Golf GTI Mk. VII. "I know where your GTI is living!" Of course on the "GTI BOULEVARD". Our US-style street sign shows the way. High-grade, green-white digital print mounted on a plastic plate. Size about 10 x 48 cm (about 4 x 19 inches). 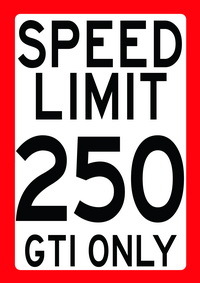 Our 'traffic sign' with "SPEED LIMIT 250 - GTI ONLY" shows it clearly: Only a GTI is authorized to run 250 km/h fast here! 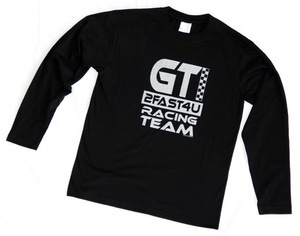 Black t-shirt "40 YEARS OF THUNDER - GTI 1976 - 2016"
Most legends have one big drawback: They normally are long dead. But one automotive legend turns 40 this year and is as alive and well as ever: the VW Golf GTI! 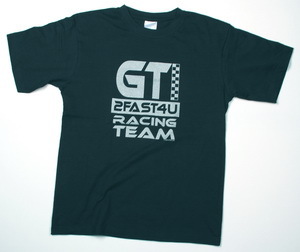 To celebrate this anniversary, GTI35.com created an exclusive t-shirt in starting-number design. 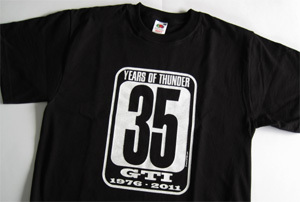 Black t-shirt with white "40 YEARS OF THUNDER - GTI 1976 - 2016" printing on the chest. Heavy top quality (about 195 g/m², 100% cotton single jersey). 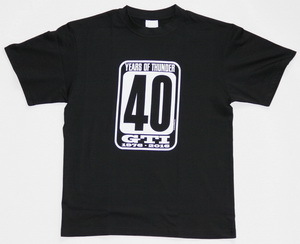 Black Lady-Fit t-shirt "40 YEARS OF THUNDER - GTI 1976 - 2016"
To celebrate this anniversary, GTI35.com created an exclusive t-shirt in starting-number design which is of course also available in body shaped Lady-Fit style. 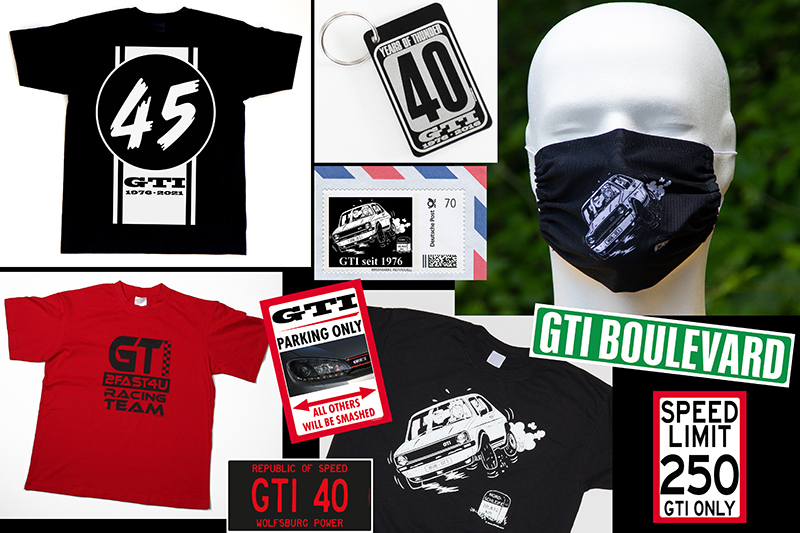 "40 YEARS OF THUNDER - GTI 1976 - 2011"
Black t-shirt "35 YEARS OF THUNDER - GTI 1976 - 2011"
Most legends have one big drawback: They normally are long dead. But one automotive legend turned 35 back in 2011 and is as alive and well as ever: the VW Golf GTI! Black Lady-Fit t-shirt "35 YEARS OF THUNDER - GTI 1976 - 2011"
To celebrate this anniversary, GTI35.com created an exclusive t-shirt in starting-number design which is of course available in body shaped Lady-Fit style. The legendary Volkswagen GTI first saw the light of day in 1976. Because legends have always been immortalized on postage stamps, 69 PIT STOP commissioned the German Postal Service to issue an exclusive collectors' stamp to commemorate this unique car. The self-adhesive stamp with a postage amount of 70 cents for a standard letter features an original cartoon created by popular French artist BOD, whose work is published by media outlets around the globe. 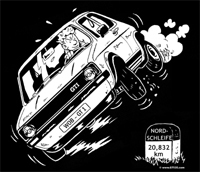 His funny illustration echoes the young, wild life at the wheel at the wheel of a GTI perfectly. When things really got a little wild back then - such as on the road to the Nürburgring Nordschleife - it was not unheard of that drivers who twisted the wheel with a little too much enthusiasm ended up taking a fast corner on just two wheels. As an homage to the year of birth of the top-of-the-range model of the Molf Mk. 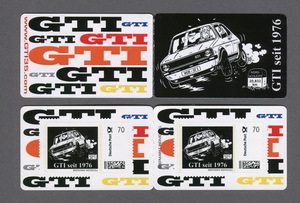 1 range, only precisely 1976 collectors' folding cards will be issued, each of them holding two "GTI on two wheels" postage stamps on the inside pages. 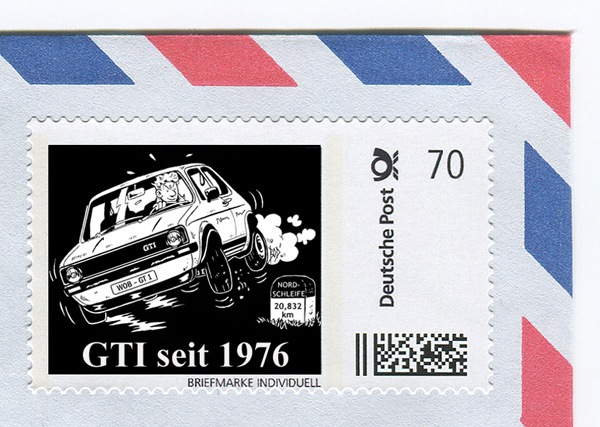 The rare postage stamps honoring the GTI is available exclusively online in our online stores! 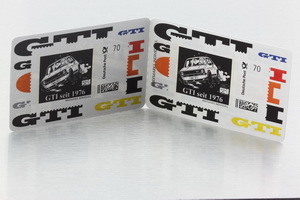 Collector's set holding two 70 cent "GTI on two wheels" stamps. Official stamp issued by Deutsche Post AG. Limited edition of 1976 stamp sets only! 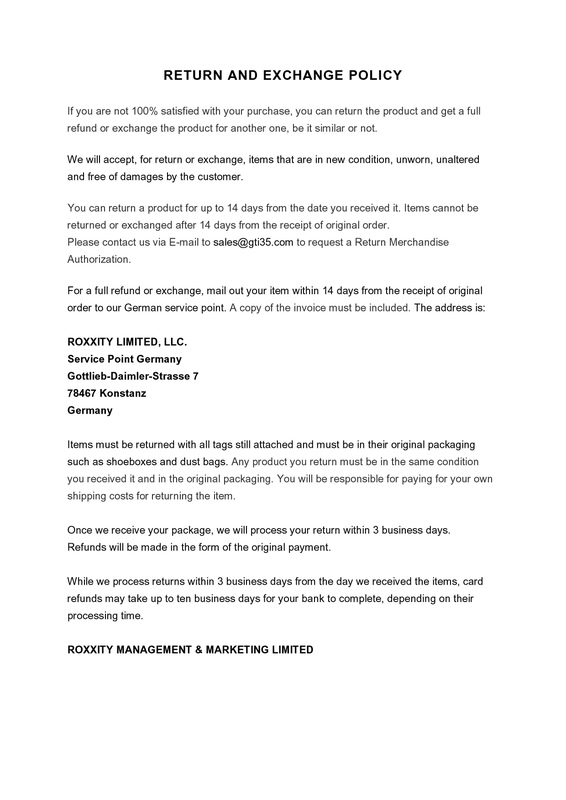 © 2019 ROXXITY MANAGEMENT & MARKETING LTD.